Digital Illustration: Food - Your stories. Our drawings. Main Street Market of Egg Harbor is a one-off grocery store in Wisconsin’s Door County. They serve both a local community and a community of tourists and seasonal residents, and they do so with class, excellent service and outstanding products. AND they bring your groceries to your car! Barb Luhring created a distinctive ad featuring her one-of-a-kind digital illustration. 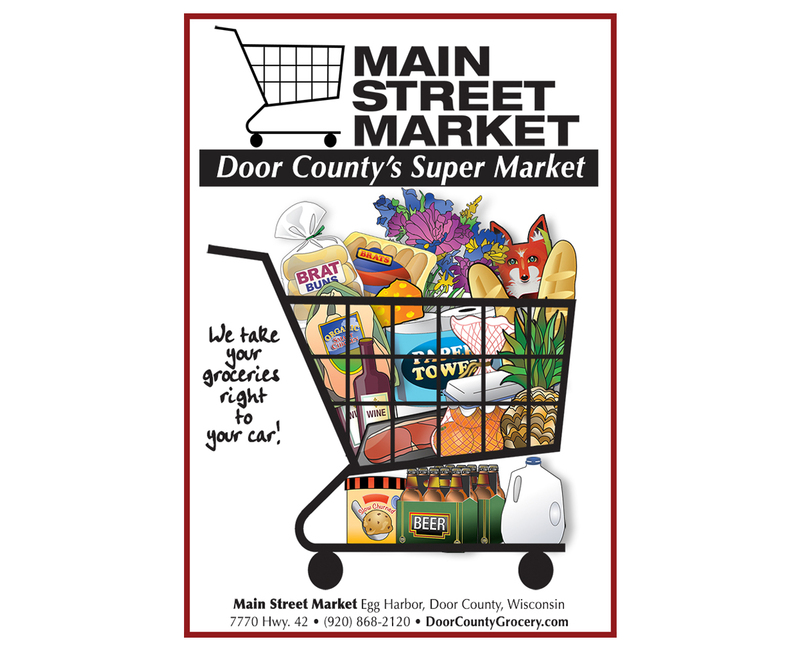 She also created the grocery cart logo, utilizing the cart image in the ad as well. A bit of whimsy, in an ad for a classic American business! Previous Previous post: Pictures + Info = Retention…REALLY!